There's nothing flashy about the Strauss Home on Cedar Street. The lawn is kept trimmed and it's tidy. Instead of planting directly into the ground, there are numerous potted plants around as accent. A short walkway leads to the front porch, a concrete slab two steps up painted a rusty red. 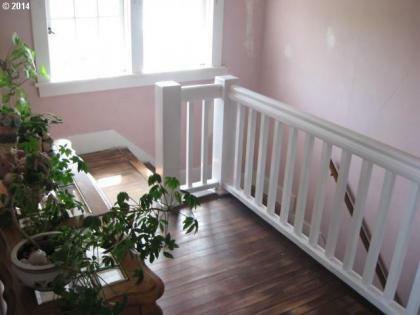 It runs the full length of the front of the small house, with a white railing, more potted plants hanging from the ceiling and some wicker furniture. The house itself is compact or appears so. The siding wouldn't hurt with some refinishing and the roof was replaced no more than a few years ago and remains in good repair. 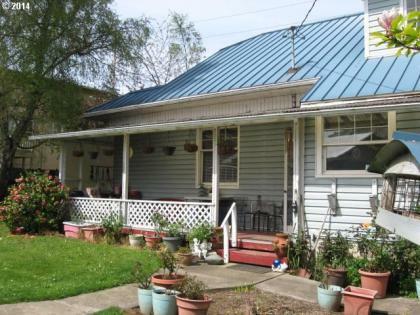 The gray of the siding is complemented by the cheerful blue of the roof. 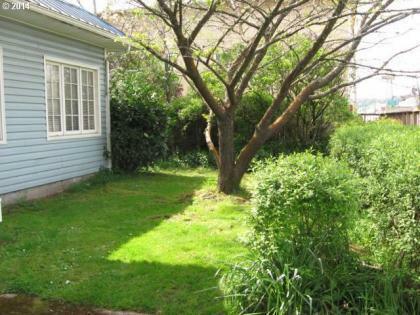 There's a tree in the side yard and a path that leads around to the back. It would kindly be referred to as 'postage stamp sized', and is also kept fairly tidy and trimmed. Otherwise, there's nothing at all remarkable about it. There's a single car garage set back on the property, a gravel drive leading to it, with an attached space that could be used as a workshop. The main living area creates a pretty clean shot through from the front to the back of the property. The largest room is divided into two distinct rooms, sharing a hardwood floor covered by throw rugs. 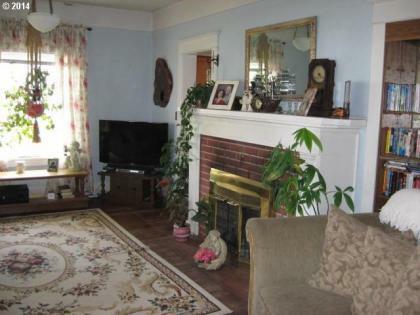 The living room is a cozy space that sports a fireplace and 42" plasma tv. The sofa is fluffy, in a neutral beige, and there are two comfortable looking armchairs flanking a rustic end table. The living room fills the entire width of the house, with a doorway at the far end that goes into the kitchen. 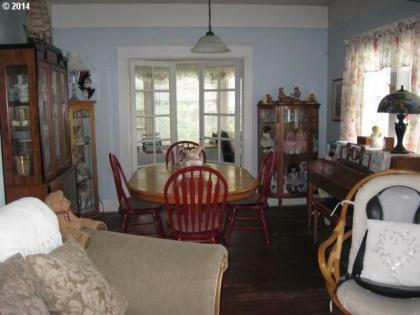 The back half of the room is host to a dining table surrounded by six chairs, a china cabinet that displays an assortment of personal trinkets and knick-knacks, and an upright piano on the wall opposite. The dining room, which is attached to the kitchen area is delineated by its linoleum flooring, on the far side of the kitchen tucked into a niche with a large window looking onto the yard is a literal breakfast nook. The kitchen is equipped with all the modern conveniences. There are potted plants throughout the home, bringing a lot of fresh green into the home. On the first floor is a guest bedroom that is off the kitchen. 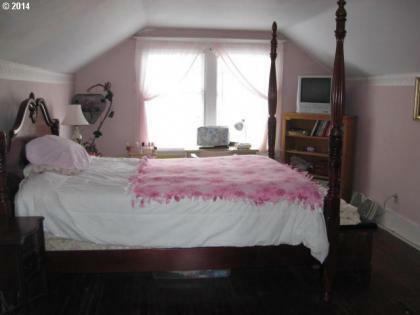 It's a fairly large room, holding a queen size bed and an antique looking dresser. It's also used for a bit of extra storage space, with some boxes in the closet. The Master Bedroom on the upper floor is Vera's sanctuary. Its color palette is very earthy and grounded, with only a few splashes of brightness. Deep maroon curtains match the quilt on the bed, and the woodwork is rich cherry wood that has been well tended through the years. The furnishings are simple and basic, her style showing obviously. 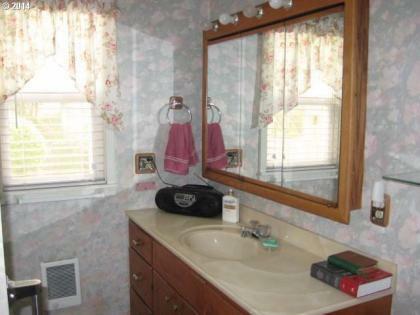 There's an en-suite bathroom with a large sink, stall shower and a tub that was made for luxuriating in. 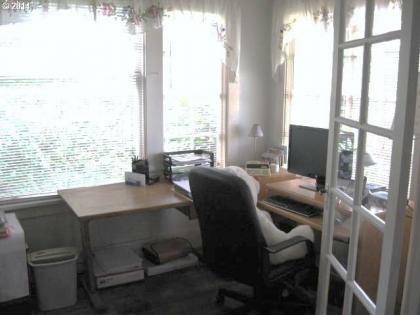 Just outside of the Master Bedroom on the second floor is a little office nook. There's a desk crowded into it, the top still littered with old bills and the books from the saloon, and a rolling office chair. It's kept dust free and mostly tidy. The computer is about 10 years old. The basement is unfinished concrete, a bit chilly but solidly built. It is used as a secondary storage for the saloon. Crates of nonperishables, old records, and receipts. There is a small area that is cleared that has a poker table that can easily be set up, should a game night happen. Vera moved into this house about a decade ago. It was bought with all cash. Which got the town talking, though it's died down quite a lot in the span of time as Vera became a pillar of the community over the years.